Find the best modern white nightstand for under $200 to put in your bedroom. You’re sure to love at least a few of these affordable bedside tables. When we were planning our monochrome modern bedroom makeover, I was so torn on whether we wanted to DIY some simple nightstands or just buy them. Just like with how the headboard situation played out, we realized we could buy them for cheaper than it would cost to make what we had planned so online window shopping I went. 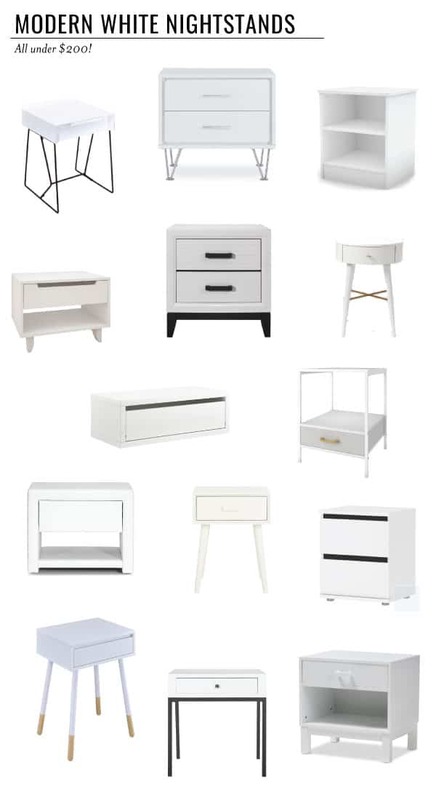 After quite some digging, I found a ton of white nightstands and wanted to share them with you. Which one is your favorite? Related: Love online shopping? Check out these tips for buying home decor online! 20+ Modern Accent Chairs – You don’t have to spend a fortune to have modern accent chairs! 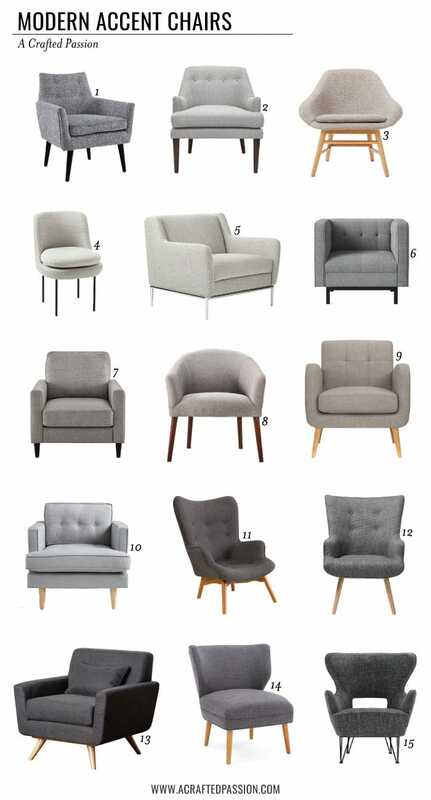 Check out these affordable gray chairs that would be great for your living room or bedroom. 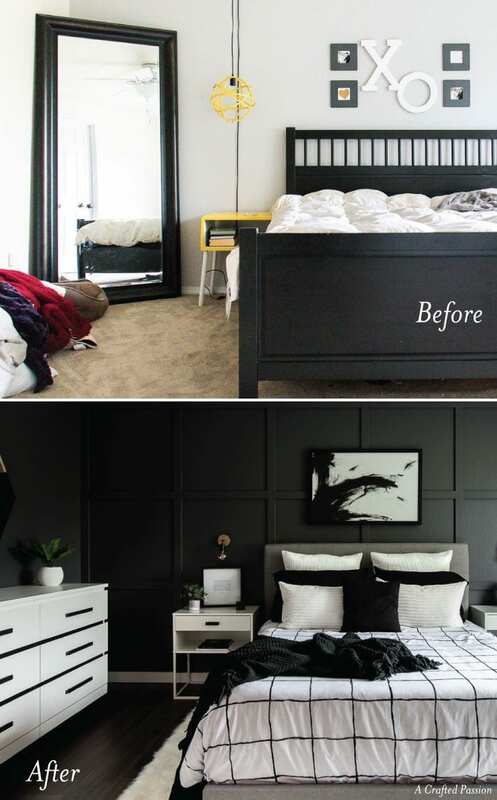 See how we transformed our boring master bedroom into a neutral monochrome modern bedroom with these simple black and white decor ideas!